Recently I listened to a BBC radio program in which Melvyn Bragg interviewed Jessica Frazier (Lecture in Religious Studies, University of Kent), Naomi Appleton (University of Edinburgh) and Richard Gombrich (Buddhist scholar formerly of Oxford) on king Asoka. The program starts with Frazier waxing lyrical about the glories of the pre-Mauryan world, claiming that there were Buddhist universities including at Taxila, and giving details about the careers of Asoka and his grandfather Chandragupta. Bragg then turns to Appleton who says correctly that we know very little about Asoka’s life but then goes on to give a detailed account of it. Listening to all this I could hardly believe my ears that this was two academics talking, because most of what they said is completely nonsense. Then Bragg turned to Gombrich who said exactly that, that the only thing we know for certain about Asoka comes from his edicts and that all the “stuff” that had just been presented is legend dating from centuries after his time. Frazier and Appleton laughed awkwardly. However, a point from this program I wish to take up today is the one Jessica Frazier made about Taxila. She claimed, as literally hundreds of publications including academic ones have done, that there was a great university at Taxila or that “Taxila was the world’s first university.” Since the late 19th century more and more details about this supposed university has been accumulating. In B. Prakash’s book on the subject book he even gave a curriculum from the university; “archery, hunting, elephant lore, political economy, law and other arts, humanities and sciences…” In the Wikipedia entry on Taxila, notes 22, 48 to 55, it gives information about some of the luminaries supposedly associated with the university. All of this is either legend from centuries after the people mentioned, or originates from 20th century unfounded speculation. A. H. Dani’s excellent monograph The Historical City of Taxila (1986) published by UNSCO, cautiously says that Taxila was a centre for Brahmanical learning, pointedly not using the magic word “university”. So when, where or by whom did this spurious claim that there was a university at Taxila originate? I don’t know, but it seems to have become currant in the late 19th century, probably after the publication of the Cowell et el. 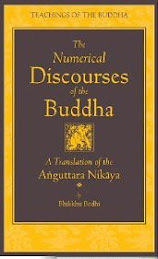 translation of the Jatakas. In many of these stories princes and others are said to have gone to Taxila to study. It usually says that they went at the age of 16, that they learned the three Vedas by heart (e.g Ja.I,259), and sometimes from “a world renowned teacher” (e.g Ja.I,317). One Jataka mentions study of the eighteen branches of knowledge (Ja.I,356). That’s it! Nothing else! No other details at all. 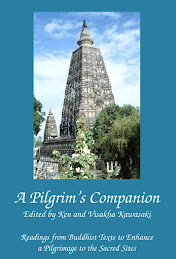 Although the Jatakas in their present form post-date the suttas and vinaya, many of the stories they tell are pre-Buddhist. They look back to a distant, partly mythological past. 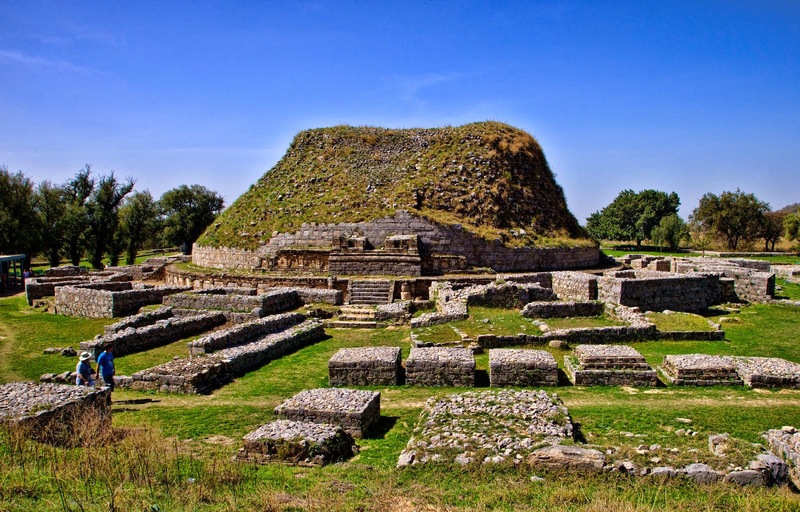 It would seem therefore that in the centuries before Buddhism Taxila was a centre for Brahmanical learning. In keeping of what we know of the Vedic education, young Brahmin students would probably have lived in the gurus home where they would be taught the Vedas, Vedic rituals and associated knowledge; prosody, grammar legends, perhaps astrology, etc. 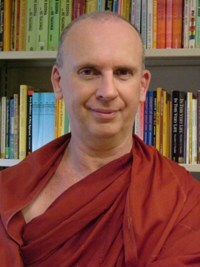 It is likely that the more learned gurus earned reputations that attracted a good number of students. But there is a big difference between this small-scale, private, traditional learning, home schooling if you like, and a university. It also seems likely that by the time of the Buddha Taxila had faded as a centre for Vedic learning. 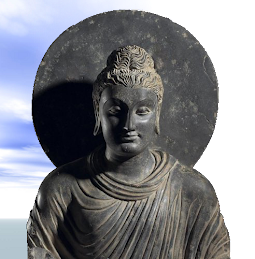 The very name Taxila (Pali Takkasila) is not mentioned by the Buddha or indeed anywhere in the Sutta Pitaka, other than in the Jatakas. But memory of it lived on, in the Jatakas, the Puranas, the Mahabharata, etc. where the name, and little beyond it, evoked the idea of excellence in religious knowledge. The only institutions approximating what we now understand as a university were those Buddhist ones that grew up in medieval Bihar and Bengal, the first being Nalanda founded around the late 4th century CE. As for Taxila university, it was nothing more than a university of the air, hot air. You can listen to the BBC program about Asoka here http://www.bbc.co.uk/programmes/b0511tm1 but it’s not very good. The picture is of the ruins of one of the Buddhist monasteries at Taxila. In the general area of Pune are three very ancient Buddhist cave temples/monasteries dating from about 150 BCE or even perhaps a little earlier. The most interesting of these, at least to my mind, is Bedsa. Situated on the side of a high hill with a sweeping view over the landscape, harmoniously conceived, executed so perfectly that the stone could have been cut only yesterday, and with an austere but appealing simplicity, it is a gem of Indian architecture. Last November I had the opportunity to visit this beautiful place again after many years. After a strenuous climb up the hill you arrive at the cave entrance with its three impressive pillars. Along the edge of the platform in front of the cave are several rock-cut meditation seats set back so that the meditator’s eyes would be shielded from distractions to his left or right, his eyes would rest only on the sky empty sky and the mountains beyond. The main assembly hall has six-sided pillars on either side and a small stupa at its far end. The acoustics in this hall are perfect as I and my two companions discovered when we chanted the Metta Sutta together. Although going deep into the rock this hall is not gloomy, the large Bodhi leaf-shaped window letting in plenty of light and air. In fact, this Bodhi leaf-shaped motif, characteristic of much early Buddhist architecture, is used to most pleasing effect throughout Bedsa, on the windows and doors and particularly in the façade. Other than this, the only adornment in the whole of Bedsa is on the capitals of the three pillars at the entrance which show lively couples riding a horse, a bull and an elephant. It is difficult to know how long Bedsa was inhabited for as it has no later additions. Either it was abandoned after a few hundred years or its monks were content with their modest monastery and resisted enlarging it or decorating it. The glory of Ajanta is its grandeur and size, the appeal of Bedsa is its modest simplicity. A greeting is something said or done on meeting a person. In ancient India there were several forms of respectful and polite greetings. The most common was to bow the head (panama) and put the hands in a praying gesture (anjali, D.I,118; M.I,168). Sometimes while doing this one would exchange friendly words with the person being greeted or inquire about their health (D.I,52; A.I,66). 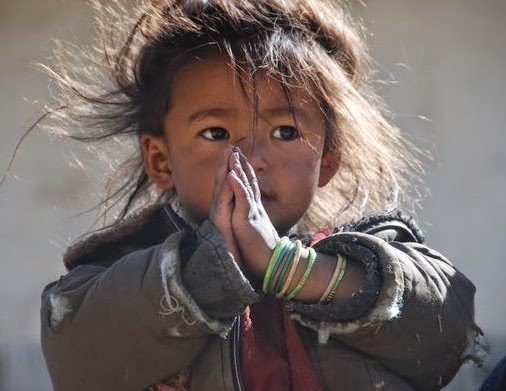 In Buddhist countries this remains the most common form of greeting between monks, by lay people to monks and between lay people. The Natyasastra says there are three forms of this greeting; with the hands put to the head, in front of the face or in front of the chest and they are given to the gods, to teachers and to friends respectively. To express more respect one might bow the head, put the hands in a praying gesture and get down on one knee or even on both knees (Thi.109). Not necessarily more respectful but certainly more elaborate, was to get down on both knees and put one’s head at the person’s feet (A.I,146). The most elaborate greeting was to lie prostrate while stroking and kissing the person’s feet (M.II,120; S.I,178). This was called ‘lying prone like a stick’ (dandapanama).When people went to meet the Buddha they always found him welcoming (ehisagatavadi), friendly (sakhila), polite (sammodaka), genial (abbhakutika), engaging (uttanamukha) and the first to speak (pubbabhasi, D.I,116), and while he accepted greetings and gestures of respect from others, he was not overly concerned about whether or not this was done or how it was done. After a man named Sonadanda took the Three Refuges, he confided to the Buddha that he had a particular problem. He was a brahman and his income depended on the respect other brahmans held him in. If they saw him bowing to the Buddha he would lose the respect of his peers and his income would suffer. ‘So if on entering the assembly hall I put my hands together in greeting, consider it the same as if I had stood up for you. If on entering the assembly I remove my turban consider it the same as if I had bowed at your feet. If when riding in my chariot, I were to get down to salute you others would criticize me. So if I pass you in my chariot and I just lower my head, consider it the same as if I had got down and bowed at your feet.’ (D.I,126). 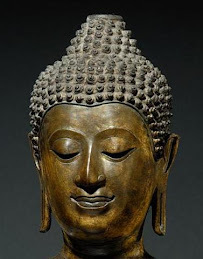 The Buddha had no problems with Sonadanda’s way of paying respect, presumably because he had sympathy with his predicament and because how social formalities were done was of little importance to him.